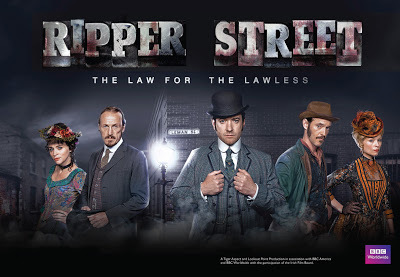 Ripper Street Season 2 is well into shooting and again is Stunt Coordinated by Stunt Guild Irelands Stunt Coordinator Gee Nagys. So far Gee has been joined by performers Aoife Byrne, Brendan Condren, Conor Hegarty, Darron Costello, Eimear O’Grady, Gerry Behan, Keith Ward, Marc Redmond, Norman Kelly, Paul Thompson, Phil Lonergan, Phillip Zone and Stav Dvorkin. Peter Dillon, with some help from Darron Costello choreographed specific fights, involving martial arts.